The ages noted are general guideline for children new to tennis. The coaching team will access players during their lessons and move as appropriate. The Red stage is the introductory stage for most players in this age bracket but it also provides plenty of scope to develop for players who already have experience but are not yet ready for the orange stage. Large, soft, low bounce balls and small nets make it easier for kids to move around and enjoy success. It allows young children to have rallys, learn basic tactics and play a wide range of games. 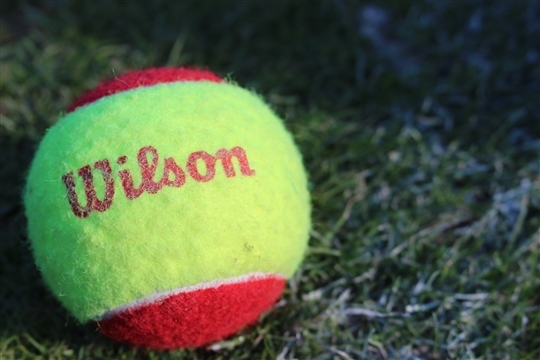 The kids are guaranteed a fun tennis experience! The children will learn: fundamental motor skills / hand-eye-feet co-ordination / the correct grips and body positions / simple swings and making contact with the ball / the whole range of tennis shots. After mastering the Red stage, children move on to the Orange stage where the ball bounces a little higher and the court is a bit bigger. The THS Green program is fundamentally designed to prepare juniors for interclub. By the end of one season the kids will have learnt to serve and rally consistently with low compression balls on a full-court and will know the rules and how to keep score. Some players who are progressing rapidly may be asked to be reserve for (or practice with) interclub teams during the Summer Season. They may also progress to yellow ball groups during winter.